Hello! 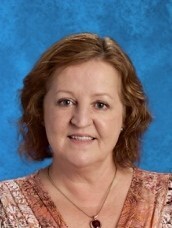 My name is Kristine Kennington and I am honored to be the new principal at Mt. Pleasant Elementary. This is my twentieth year in education. I have been with Wilkes County Schools for the last sixteen years as a science teacher at Wilkes Central High School, as an assistant principal at Wilkes Central and at East Middle, and as Principal of Boomer-Ferguson before coming to Mt. Pleasant. In my spare time I enjoy being with my four grandchildren and traveling with my husband Adam who is also a teacher.